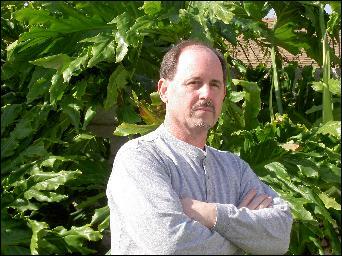 Professor David A. Bellman, 9th degree black belt, is the chief instructor of jujitsu at the Valley Jujitsu School in Northridge, CA. He is the 1976, 1977, 1990 and 1992 National Jujitsu Black Belt Champion and nine time Southern California Jujitsu Black Belt Champion.. Professor Bellman began his training in the martial arts back in 1962 and has been teaching classes continuously since 1968. Innovative in his approach to teaching the art of jujitsu, Professor Bellman comes from both a traditional and non-traditional basis. He goes where the knowledge leads him. His quest to do things better and more effectively has lead him to create the concept of a "living system" where a system is always evolving, never allowing itself to become stagnant. Professor Bellman is also the creator of the "principles and concepts approach" to the martial arts where every technique is based on one or more of 25 principles and concepts of anatomical physics that makes all martial arts techniques work. Over the three plus decades Professor Bellman has been teaching the art of jujitsu he has promoted over forty people to the rank of black belt. Many of his students hold advanced black belt degrees and have studied with him for decades. Besides being the Chief Instructor of Jujitsu at the Valley Jujitsu School, Professor Bellman is also the Chief Instructor of Jujitsu at the Westchester Family YMCA, Torrance South Bay YMCA and Balboa Sports Center.